Following the armed conflict between American colonists and British forces at Lexington and Concord on April 19, l77S, Gen. Thomas Gage, commander of British forces and the royal governor of Massachusetts, demanded that Boston's citizens deposit their arms at Faneuil Hall under the care of a Selectman before being permitted to leave the city, then under siege by the colonial militia. After obtaining 1778 muskets, 634 pistols and 36 blunderbusses from citizens, the governor had an armed guard mounted over their arms and refused to permit their owners to depart from the city. As we celebrate the Bicentennial of the Bill of Rights, evidence has been discovered that shows the Second Amendment was prompted by British plans to disarm each and every American. WHEREAS, by an Act of Parliament, of the first of King William and Queen Mary, it is declared, that the Subjects being Protestants, may have Arms for their Defence; it is the Opinion of this town, that the said Declaration is founded in Nature, Reason and sound Policy, and is well adapted for the necessary Defence of the Community. persons who would. 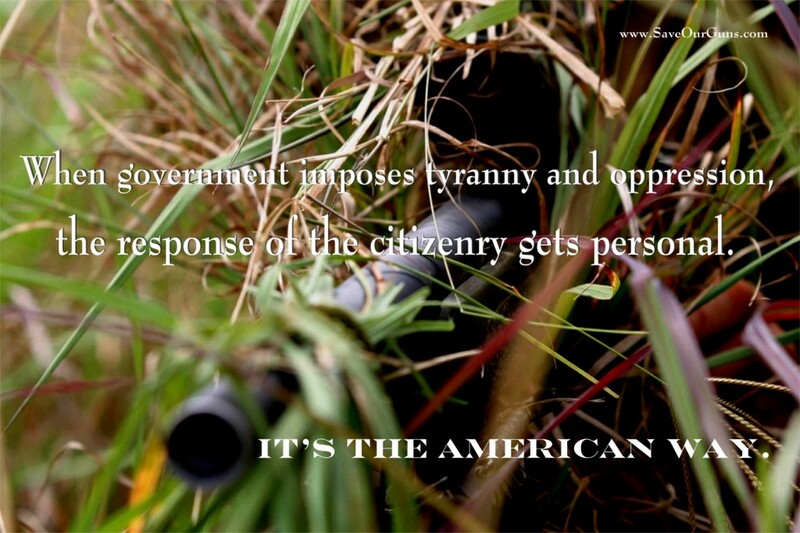 . . perswade the people never to make use of their constitutional rights. . ."
It is reported that the Governor has said, that he has Three Things in Command from the Ministry, more grievous to the People, than any Thing hitherto made known. It is conjectured 1st, that the Inhabitants of this Province are to be disarmed. 2d. The Province to be governed by Martial Law. And 3d, that a Number of Gentlemen who have exerted themselves in the Cause of their Country, are to be seized and sent to Great Britain. That part of the troops had been quartered in the castle and barracks, and the remainder of them in some old empty houses.
" . . upon the inhabitants lodging their arms in Faneuil Hall . (they) may depart . . . from the town. . . Nonetheless, by early 1775, the British began a de facto policy of disarming the colonists. "Disperse you damn rebels--Damn you, throw down your arms and Disperse. Debate now turned to war, and William Knox's 1777 plan that "the Arms of all the People should be taken away" was far too late, had it ever been possible. The above is only a small portion of newspaper extracts showing British attempts to disarm the Americans in the years 1768-1775. The grievances expressed led to the adoption of right to bear arms guarantees in the state Declarations of Rights beginning in 1776 and the federal Second Amendment in 1789. The British resorted to every possible tactic to disarm the Americans--entrapment, false promises of "safekeeping," banning imports, direct seizure and finally shooting persons bearing arms. As the Bicentennial of the Second Amendment approaches, the American people must make a renewed commitment to understand the historical origins of the Bill of Rights, in order to preserve their liberties. 1. Sources Of American Independence 176 (H. Peckman ed. 1978). Emphasis added. 2. Boston Evening Posl, Sept. 19, 1768, at 1, col. 3, and 2, col. 1. 3. Boston Gazette, and Country Journal, Sept. 26, 1768, at 3 cols. 1-2. 4. Boston Evening Post, Oct. 3, 1768, at 3, col. 2 (includes an account of the invasion). 5. New York Journal, Feb. 2, 1769, at 2, col. 2. 6. Boston Gazette, and Country Journal, Oct. 17, 1768, at 2, col. 3. 7. Id., Feb. 27, 1769, at 3, col. 1. Adams' authorship is confirmed in I H. Cushing ea., The Writings Of Samuel Adams 316 (1904). 8a. Massachusetts Spy, Sept. 8, 1774, at 3, col. 3. 9. Massachusetts Gazette; and Boston Weekly News-Letter, March 17, 1775, at 3, col. 1. 12. Connecticut Courant, April 3, 1775, at 2, col. 2. 13. Essex Gazette, April 25, 1775, at 3, col. 3. 14. Attested copy of Proceeding between Gage and Selectmen, April 22, 1775, reprinted in Connecticut Courant, July 17, 1775, at 1, col. 3, and 4, col. 1. 15. Id. at 4. Col. 2 (April 23, 1775). 16. R. Frothingham, History Of The Siege Of The Boston 95 (1903). 17. Connecticut Courant, May 8, 1775, at 3, col. I. 18. Connecticut Journal and New-Haven PostBoy. May 19, 1775, at 6, col. 2. 19. Connecticut Courant, June 19, 1775, at 4, col. 2. 20. Connecticut Journal and New-Haven PostBoy, June 21, 1775, at 3, cols. 1-2. 21. Connecticut Courant, July 17, 1775, at 4, col. l.
23. Connecticut Courant, July 17, 1775 at 2, col. 1. The Declaration was published in virtually every colonial newspaper. The Continental Congress adopted a similar address on "To the People of Ireland" which complained that "the citizens petitioned the General for permission to leave the town, and he promised, on surrendering their arms, to permit them to depart with their other effects; they accordingly surrendered their arms, and the General violated his faith...." Id., Aug. 21, 1775, at 1, col. 3. Please e-mail your comments or questions to: 2ndamend@dnai.com.